The largest ever New Zealand Rowing team for an Olympics has been named for this year's Rio Games. A squad of 31 has been selected in nine boats with London Olympic gold medallists Mahé Drysdale, Hamish Bond and Eric Murray heading the squad. For the first time ever New Zealand will have a women's eight and a men's lightweight four competing at an Olympics. An additional team of 15 athletes made up of five boats has also been named to compete at the Final Qualification regatta in Lucerne, Switzerland in May. Rowing New Zealand High Performance Director Alan Cotter said of the trial process, "All of the athletes selected have worked enormously hard to get to this point, gone through a rigorous trialling process and have met the high standard needed to be chosen for any New Zealand rowing crew." 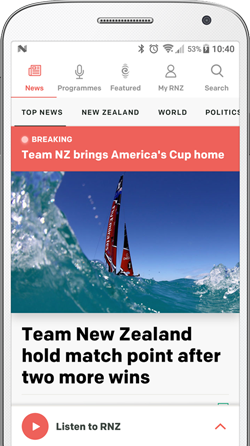 Cotter acknowledged the promising results in 2015, "Rowing New Zealand crews had a great year in 2015, winning medals in seven Olympic boat classes and finishing second on the medal table behind Great Britain. "The strong showing from the men's and women's eights at the World Championships in 2015 to qualify for the Rio Olympic Games demonstrates the depth of talent in our programme. With six months to go we remain confident that we will meet our high performance target to win five medals at the Rio Olympic Games." Two-time Olympic medallist and five time world champion Mahé Drysdale is looking to defend his London Olympic gold medal in the men's single scull at his fourth Olympic Games. Two-time world champion's in the women's lightweight double scull Julia Edward and Sophie MacKenzie are also confirmed, as are the world champion double scull duo of Zoe Stevenson and Eve Macfarlane. World bronze medallists Robbie Manson and Chris Harris will compete in the men's double scull, with Rio the second Olympic Games for both. There is one change in the men's lightweight four from 2015 with Peter Taylor rejoining the crew that finished fourth at the World Championships last year. The men's and women's eights from 2015 will remain unchanged in their combinations with London Olympic bronze medallist Rebecca Scown teaming up with Genevieve Behrent to also contest the women's coxless pair in Rio. This is the first time in New Zealand Rowing Olympic history athletes have contested more than one event. The New Zealand women's eight made history when they won a silver medal at the World Championships in 2015. It was the first time a New Zealand women's eight had stood on the dais at a World Championships and the first time they have gained qualification for the Olympic games. The men's lightweight four also made history, qualifying for the event for the first time ever. The last time a New Zealand men's eight raced at the Olympic Games was in 1984. New Zealand is set to send five crews to the Final Qualification regatta in May in Lucerne, Switzerland. The five boats will include the men's and women's quadruple scull, men's coxless four, men's lightweight double scull and women's single scull. The 2014 World Champion, Emma Twigg will head the team attending the Final Qualification regatta in Lucerne as she strives to secure her place in the single scull in Rio. There has been one change to the 2015 men's quadruple scull with Nathan Flannery joining the crew. There has also been a change in the women's quadruple scull with young sculler Brooke Donoghue making the crew and her first elite team. The men's lightweight double will be made up of Adam Ling and Toby Cunliffe-Steele. Anthony Allen returns from the 2015 men's coxless four and will be joined by Patrick McInnes, Drikus Conradie and Axel Dickinson in the four. Rowing first appeared on the Olympic programme at the first Olympic Games held in 1900 and, since then, New Zealand has won a total of 21 Olympic medals in the sport. The first New Zealand Rowing medal was a bronze won at the 1920 Antwerp Olympic Games by Darcey Hadfield. 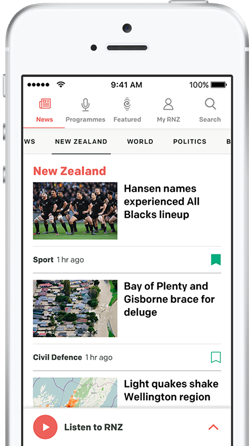 Forty two years later New Zealand won its first gold medal in the sport in the men's coxed fours at the Mexico Olympic Games in 1968. NZ Rowing team for Rio Olympics. Mahe Drysdale and Emma Twigg have claimed the men's and women's single sculls titles at the New Zealand rowing championships on Lake Karapiro. Olympic rowing champion Mahe Drysdale says he's delighted to have his coaching situation sorted out as it was taking a toll on him. The grandstands for watching rowing and beach volleyball at the Rio Olympics are to be reduced in size to cut spending as Brazil's economic crisis hits home.